Successfully Added Vapalite Mega Box Mod Kit - 510 Thread, 100 Watt, Adjustable Airflow, Adjustable Temperature, 2200mAh Battery (Black) to your Shopping Cart. The Vapalite Mega electronic cigarette is the perfect vaper for all smokers out there that wish to leave behind harmful tobacco products and make a switch towards healthier vaping products. 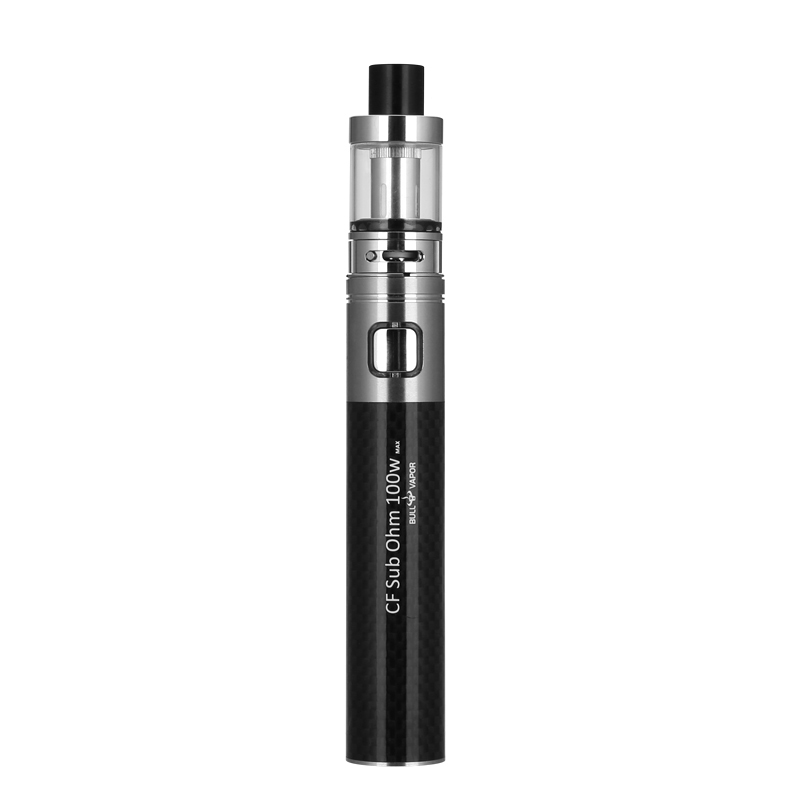 With a maximum output of 100 Watt, this e-cig handles a lot of power – making it a great vaporizer for everybody that wishes to experience a powerful and tasteful vape. Crafted out of durable stainless steel and carbon fiber, this stylish vape mod kit features a beautiful design – allowing you to use it confidently at any occasion. Whether you’re out for a walk, attending a business dinner, or simply are enjoying a relaxing evening at home – with the Vapalite Mega e-cigarette you will always be able to enjoy a relaxing and tasteful vape in style. With its powerful yet light-weight 2200mAh battery, the Vapalite Mega box mod kit holds enough juice to get you through a day filled with relaxing vaping sessions without you needing to worry about battery life. Thanks to the micro USB port that has been intergraded into the design of this electronic cigarette, it is easy and quick to charge. This powerful 100W vape mod kit furthermore comes with a 510 thread – allowing you to use it with the majority of atomizer tanks and other vape accessories out there. The tank atomizer that has been included in the package of this vape mod kit features a durable and rebuildable design that is capable of holding 3.5ML of your favorite tasting e-juice. Thanks to its rebuildable design, this tank atomizer can be easily replaced and cleaned whenever necessary. Featuring a resistance of 0.1 to 1.0 Ohm, the Vapalite Mega 100 Watt e-cigarette is a powerful vape mod kit that lets you create exceptionally large vapor clouds and produces great taste to fully enhance your vaping experience. Added to that, this e-cig furthermore features manual air flow control that lets you control the amount of vapor and taste produced, and a sophisticated temperature control setting that allows you to choose in between five pre-set temperatures. By allowing you to personalize your vape experience to your liking, the Vapalite Mega box mod kit guarantees a high-end vape experience every time again. Starting from today, you will be able to fully customize your vaper and personalize your vapping experience to your own personal liking – allowing you to take the most out of your electronic cigarette and enjoy all the benefits it has to offer in the way that you love most. The Vapalite Mega electronic cigarette comes with a 12 months warranty, brought to you by the leader in electronic devices as well as wholesale electronic gadgets..